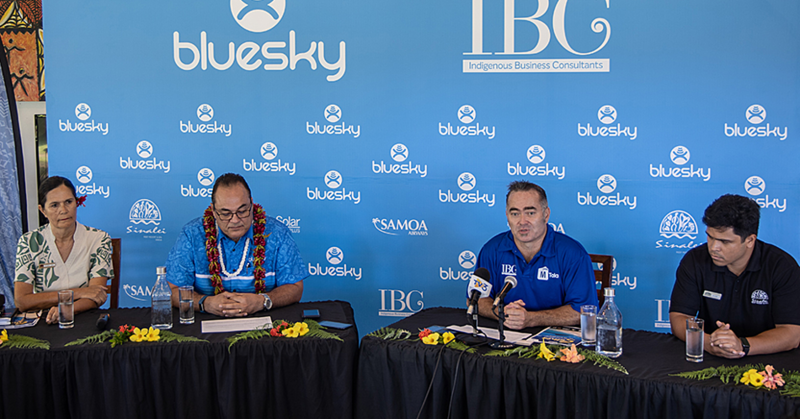 The relationship between Samoa and New Zealand continues to grow from strength to strength. The point was highlighted yesterday when New Zealand’s new High Commissioner to Samoa, David Campbell Nicholson, presented his letter of Credence to the Head of State. Mr. Nicholson replaces Jackie Frizelle who completed her posting in December 2016. 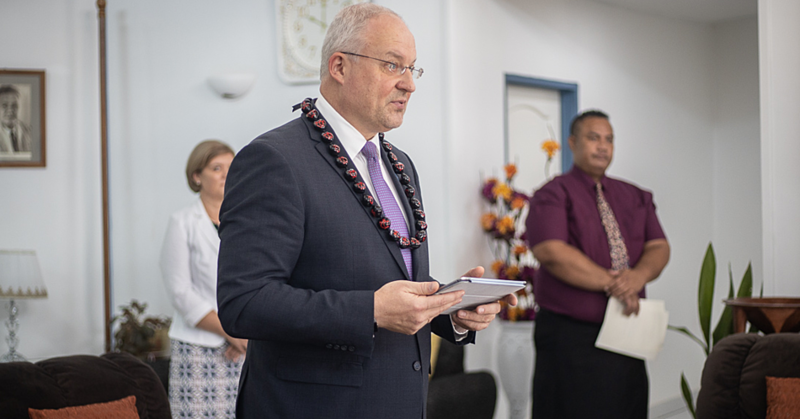 Mr. Nicholson was officially welcomed with a traditional ava ceremony followed by the presentation of his credentials to the Head of State, His Highness Tui Atua Tupua Tamasese Efi. 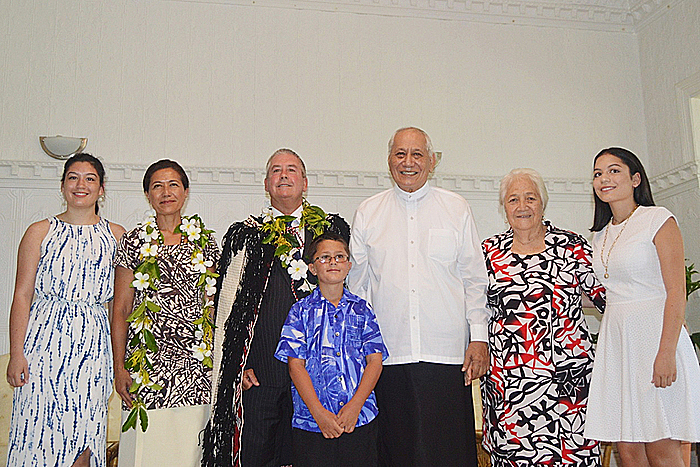 “Samoa and New Zealand are closely linked by history and share close family ties and democratic traditions,” he said. “New Zealand Samoans have prominent role in our political scene and contribute significantly in many fields." “Samoans have provided New Zealand’s first Pacific university Professor (Albert Wendt), Pacific Rhodes scholar (Damon Salesa), and first Pacific court Judges (Aeau Semikueva Epati and Ida Malosi). Samoans continue to make outstanding contributions to New Zealand in many other fields of endeavour including music, theatre, arts, literature, and sport." “In sport, I would like to acknowledge the most recent success; that of Lupesoliai La'auliolemalietoa Joseph Parker the World Heavy Weight Champion. Samoans have also been and continue to be the backbone of the All Blacks, notably Tana Umanga, Keven Mealamu and Jerome Kaino." 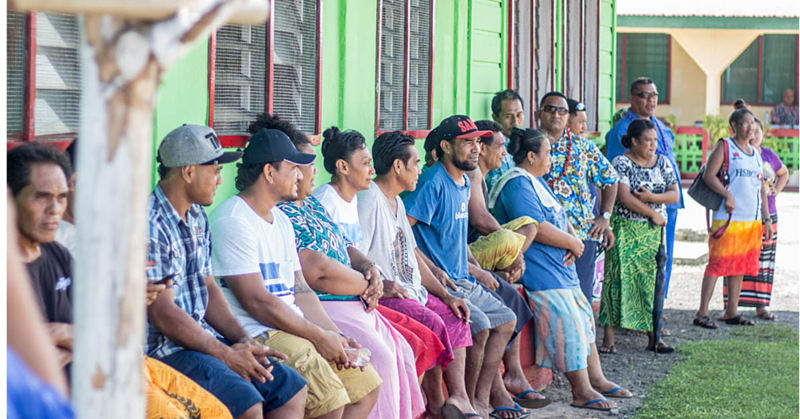 “Samoa is well established as a regional and global leader in promoting good governance, economic reform, economic development and climate change." “We admire the gains achieved over the past decade through reforms that have provided a platform of stability and growth despite global economic challenges and natural disasters." In welcoming Mr. Nicholson, His Highness Tui Atua reminded about the special relationship between Samoa and New Zealand. This is underpinned by the 1962 Treaty of Friendship based on principles of partnership, understanding and mutual respect. Mr. Nicholson holds a Bachelor of Arts from the University of Canterbury and two Masters Degrees. He joined the Foreign Ministry in 2012. In 2012-2016, he was appointed as the Director of the Pacific Development Division before taking over the post of Divisional manager for Melanesia, Micronesia and Northern Pacific before being appointed as High Commissioner to Samoa in 2017. He is also the Consul-General of New Zealand to American Samoa and the Administrator for Tokelau. Mr. Nicholson is married to Dr. Suitafa Deborah Nicholson and they have three children, Anna Bella and Samuel Nicholson.